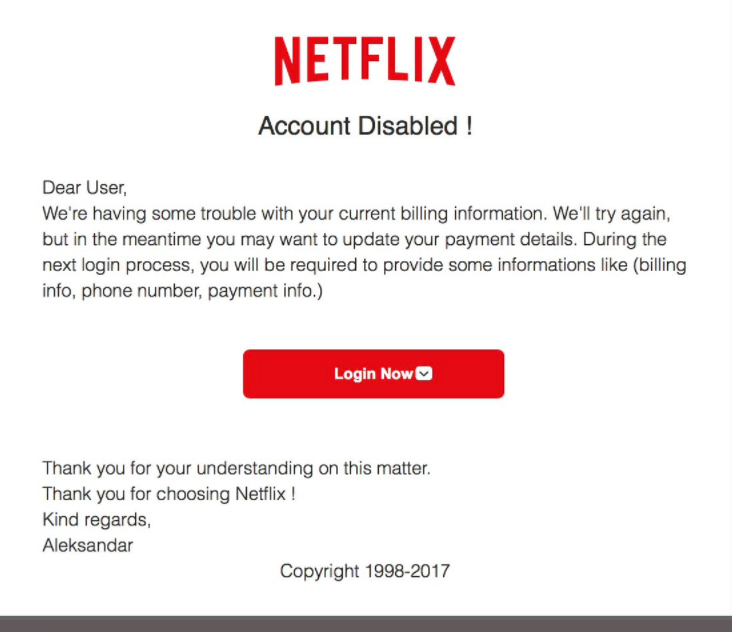 A new scam has surfaced recently targeting Netflix users—-which is basically the large majority of us. The scam tells the user that their account has been disabled because of a billing issue and asks that you enter your bank account information to fix the issue. PLEASE DO NOT DO THIS. Do not click on any links in this email.